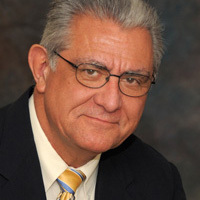 Michael Sapienza is a Forensic Scientist with Fleisher Forensics and has been involved in litigation matters since 1987. Mr. Sapienza specializes in flooring claims, installation and maintenance; walkway surface evaluations; slip resistance; asbestos; material science; industrial safety; plant engineering, fireworks display safety, and product liability. At Fleisher Forensics, he is a Consulting Scientist responsible for evaluation of flooring failure analysis, installation and maintenance procedures. He also consults in analysis of pedestrian safety concerning slips, trips, and falls on floors, walkway surfaces, stairs, parking lots, bathrooms, shower and bath facilities. He consults in analysis of plant and industrial safety practices, maintenance procedures, production processes, product testing, material science and selection, and job safety. He also consults on fireworks display operations, safety and regulations. Mr. Sapienza has been professionally associated with the American National Standards Institute, American Society for Testing and Materials, North American Laminate Flooring Association and Resilient Floor Covering Institute. Mr. Sapienza has a Bachelor’s degree in Chemistry, with a minor in Mathematics and Physics, from City University of New York, Hunter College. Mr. Sapienza has professional certification for Polarizing Light Microscopy/Asbestos Identification, and Advanced Asbestos Identification. Prior to joining Fleisher Forensics, Mr. Sapienza was Research Director and Vice President of Purchasing for the Congoleum Corporation and Technical Area Superintendent for E. I. DuPont de Nemours & Company. In those capacities, he supervised engineers and chemists; and he was responsible for failure analysis, flooring claims, slip resistance analysis, plant engineering, maintenance, quality control, and safety. He was also Vice President of Operations for Fireworks Unlimited of New Jersey, Inc. In that capacity he was responsible for safety, construction, handling, transportation and use of fireworks and equipment intended for outdoor displays. He supervised and trained technicians, assured compliance with safety standards, ATF regulations, NFPA codes, and coordinated with authorities having jurisdiction for the display sites.